“Utkata” is a Sanskrit word, which means frightening, intense, furious, wild or heavy and the meaning of asana is to seat, pose or posture. Utkatasana (Chair Yoga Pose) is a simple pose, in this, you have to imagine that you are sitting in the chair and your body posture look like as you are sitting in the chair. At first get into the pose of Tadasana. Big toes of your feet ought to touch each other and heels ought to be kept little apart. Your lower gut (lower belly) ought to be sucked in a little to bolster your spine. Move your shoulder bones down and keep your midsection (chest) open and push out over your shoulders. At that point, take a full breath and raise your arms over your head. (You can also put your arms up along with the palms joint together, or keep your palms parallel to each other). Keep your arms in front of your ears or at the same level or before your ears. Now, keep your lower ribs towards your pelvis. At that point, exhale (breathe out) and twist your knees. Attempt to make your thighs as parallel to the ground as could be expected under the circumstances. The knees ought to come out in front of your feet. Your torso ought to incline (lean) a little forward over your thighs till your torso makes a right point with the upper part of the thighs. Your inward thighs ought to be parallel to each other and the thigh bones ought to be squeezed to the heels. Keep the closures of your shoulders firm. Convey your tailbone down to the ground and towards your pubis to prolong the lower back. Stay in this posture for 30 seconds to sixty seconds. Inhale and keep your knees straight. After that exhale and bring down your hands to the normal position. Repeat the process around 3 to 5 times. Chair Pose stretches spine, hips and your chest muscles. Chair Yoga Pose strengthens the immune system and gives relieves back pain and joint pain. This asana gives the stomach organs a decent back rub Furthermore. Invigorates the stomach and the heart. Daily practice grants a feeling of equalization in the body. 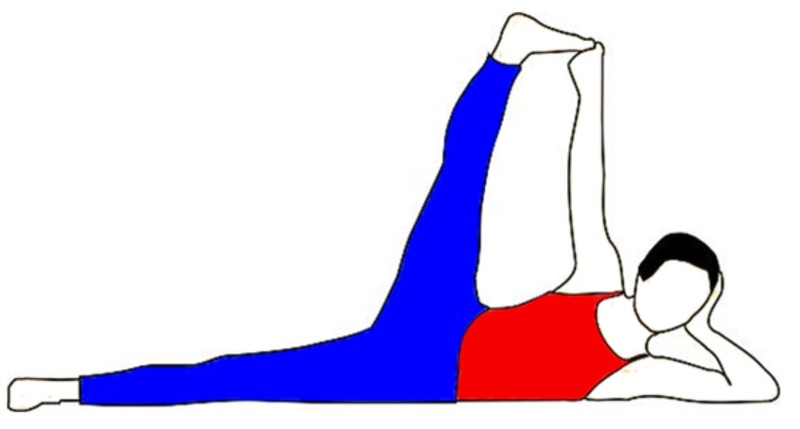 Utkatasana strengthened your torso and lower back. This Yoga Pose tones the legs, muscles in the knee, the ankles, and the thighs. Chair Pose reduces weight, especially from the buttocks. Utkatasana should be avoided if you are suffering from headaches, Arthritis, severe knee pain, sprained ankle low B.P. and in damaged ligaments. 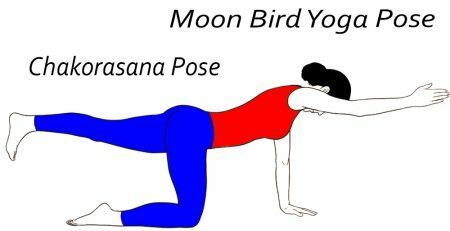 Avoid this pose in lower back pain, periods and shoulder injury. Perform Asana and Pranayama in a right manner under the supervision of an expert person.